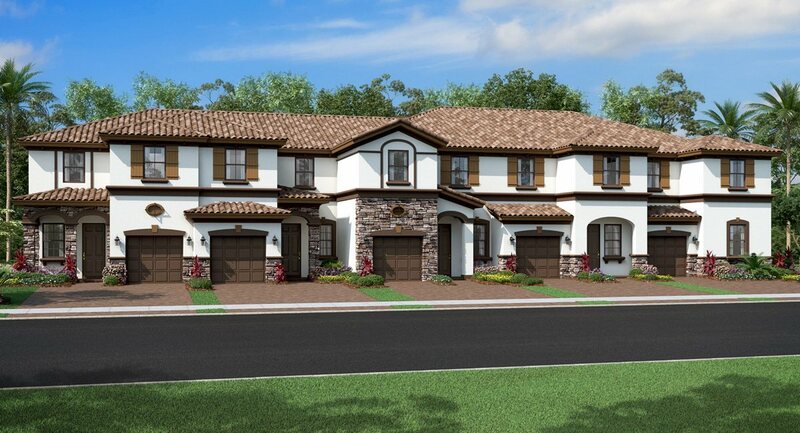 Magnolia Trails complex offers luxurious Mediterranean style townhouses in beautiful Davie in Florida. You will be able to plunge into an unbeatable lifestyle in beautiful community with tropical landscaping, sidewalks and lanterns. Cozy family atmosphere and ideal location close to shops, restaurants and top-rated schools make this prestigious enclave the most desirable place to live in Davie. Magnolia Trails stands out for its beautiful architecture with Mediterranean features: Spanish-style tiled roofs, decorative stone elements, window shutters, cobbled paths and patios. Swimming pool with a sun terrace and a cabana will be at complex residents' disposal. Magnolia Trails offers spacious townhouses for 3-4 bedrooms ranging from 1,621 to 1,929 square feet. Houses will feature elegant master bedrooms with large walk-in closets and luxurious bathrooms, conveniently located on the second floor. Townhouses will be equipped with the most modern smart-home technologies from Amazon Alexa.